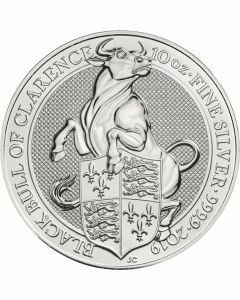 The Queen's Beast collection of silver coins from the British Royal Mint features among the most popular coin series in the world. With a total of 10 planned releases, this series commemorates the coronation of Her Majesty Queen Elizabeth II. Ten statues of mythical beasts stood guard at Her Majesty's coronation ceremony in 1953. 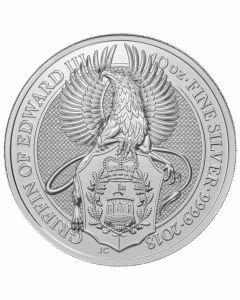 This coin series was launched in 2016 – each annual release displaying a unique take on each of the ten beasts that stood guard during Queen Elizabeth II’s coronation ceremony. These coins are available in both 0.999 pure silver and 0.999 pure gold variants. Ten heraldic statues that stood guard at the coronation ceremony included mythical beasts like the griffin, dragon, and unicorn. Each of The Queen's Beasts consists of an heraldic beast supporting a shield bearing a badge or arms of a family associated with the ancestry of Queen Elizabeth II. 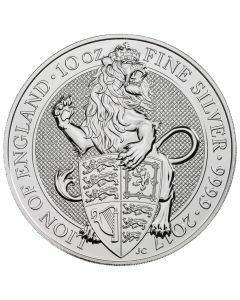 Although its primary duty involves striking circulating coinage for the United Kingdom, the Royal Mint is also responsible for striking various precious metals coins, medals, and mementos. 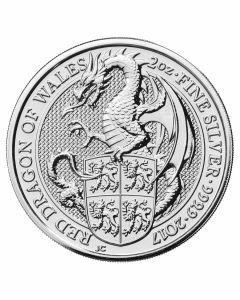 The Royal Mint was established in London in 886 AD. 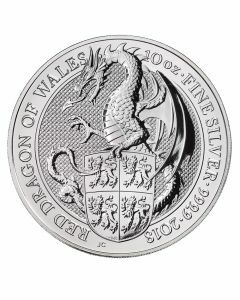 However, today the Royal Mint is headquartered in Wales, where it comprises of a minting facility, the Royal Mint Museum, and a £9 million visitor center. 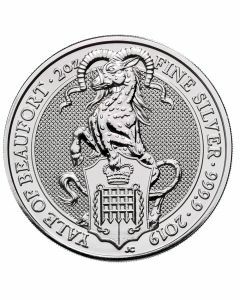 The reverses of coins released every year under this coin program showcase a gorgeous design of a beast from the ten Queen's Beasts. 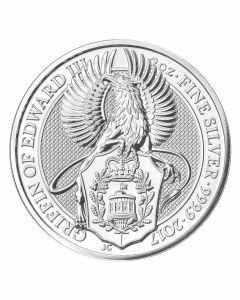 On the other hand, the obverses of the silver coins feature the fifth portrait of Her Majesty Queen Elizabeth II, created in 2015 by Jody Clark. He is, in fact, the youngest artist ever to capture the image of the Queen to be imprinted on legal tender in the United Kingdom. 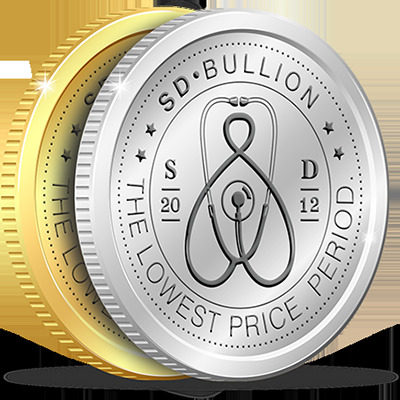 Additionally, these coins bear face values of 5 GBP and are assigned legal tender status in the United Kingdom. 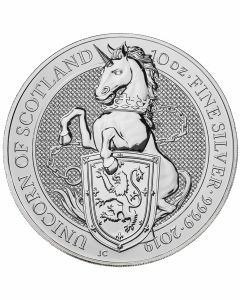 Hence, the pure silver and backing of a sovereign government coupled with the fact that they bear breath-taking design work ensures that this coin will remain a hit among collectors and investors alike. 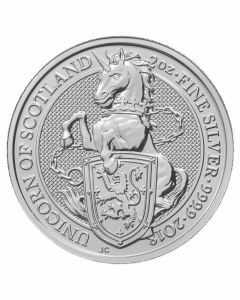 Choose from a broad selection of Queen's Beast Silver Coins and not only maintain complete sets of this coin series, but also accumulate quality silver from a prestigious mint. 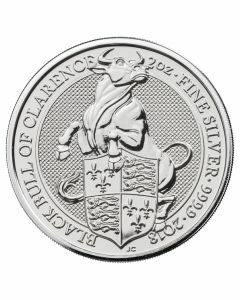 In fact, since the Royal Mint is one of the oldest minting institutions ever established, its products still command a certain respect in the precious metals market.